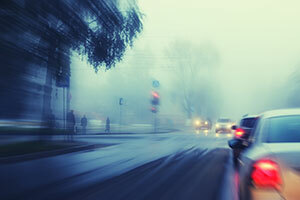 Have you suffered a personal injury in a Naples left-turn accident? You are just one of the many folks who have suffered the same way, since left-turn accidents are among the most common auto accidents in Florida. Reckless drivers often misjudge the situation and end up striking someone else’s car. If you’ve been the one who was hit, you should know that you may be entitled to damages compensation. It could be possible to recover for medical costs, medical devices costs, loss of income, scarring and disfigurement, pain and suffering, and other harms and losses. But, you should know that proving liability in left-turn accidents is a difficult matter. Liability for these accidents are very complicated to prove. They are not like rear-end accidents, where the situation is pretty clear. Left-turn accidents are always being contested by both sides, so having the best Naples car accident lawyer on your side may be crucial to get the compensation that you deserve. You can call our Naples left-turn accident lawyers for help. Here at the Wolfson Law Firm, we have 50 plus years of dealing with all types of vehicle accidents including left turn accidents. We have represented both the driver who made the left turn and the driver who had the other car make a left turn in front of them. Liability is often attributed to both drivers and fault is shared. Our Naples personal injury attorneys are available to serve you. We can start with free consultations at 239-777-9954. We have offices in Fort Myers and we will come to wherever you are to answer your questions. We don't ask for fees unless we recover for you. According to Florida Statute 316.122, the driver who turns left always has to yield the right-of-way to any vehicle coming from the opposite direction. That means that the driver who turns left is usually responsible for the accident. However, the determination of fault is rarely easy. As you can see, there are scenarios where the left turning driver might not be at fault or at the least, the responsibility for the accident is shared by both drivers. That is why it is important for your Naples car accident lawyer to conduct a thorough and complete investigation of all the facts of your left turn accident in Naples. You shouldn't expect the responsible driver to just roll over and admit liability. They will usually deny responsibility, so it will be you and your Naples personal injury lawyer’s job to prove that the accident was someone else's fault. The insurance company will behave the same way. Here at the Wolfson Law Firm, we are used to see these reckless drivers refuse to accept responsibility for their deeds. Even in the most obvious cases, you can't expect that you'll be compensated without a fight. That's why we always start carefully in cases like this. We take our time to build a compelling case that places you in a strong negotiating position to ask for the compensation that you deserve for your harms and losses. If they accept it, you'll get the financial compensation you deserve in a relatively short period of time. But if the insurance company delays or denies your claim, we will file a lawsuit on your behalf. Then we will work to resolve your case through a reasonable settlement or verdict from a Collier County jury. If you have been injured in a left-turn accident in Naples, calling a Naples auto accident lawyer would be the prudent thing to do. You know that it won’t be easy to prove responsibility, hence getting help is essential. Our Naples left-turn accident attorneys at the Wolfson Law Firm have helped car accident victims injured in left-turn accidents since 1963 and are at your service 24/7. Call us now at 239-777-9954 for free consultations and let's discuss how we can help. We won't charge you any fees until we recover damages for you. The Naples personal injury attorneys of the Wolfson Law Firm can be found at 3049 Cleveland Ave #140, Fort Myers, FL 33901 and serves the communities and towns of Collier County including Goodland, Naples, Ave Maria, Golden Gate, Lely Resort, Everglades City, Orangetree, Marco Island, Vineyards, Pelican Bay, Immokalee, Chokoloskee, Pine Ridge, Verona Walk, Naples Park, Island Walk, Naples Manor, Plantation Island, Lely, North Naples, and Ochopee East Naples.